I made a few different Christmas cards this year. I wanted something with WOW for hubby to take to work. He handed these out on Monday and they were VERY well received! 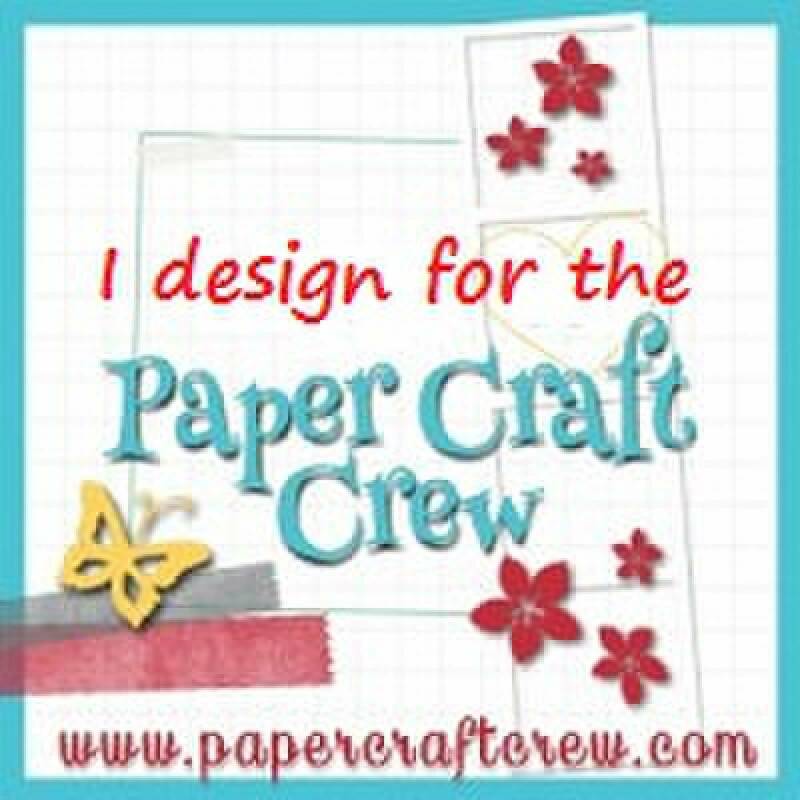 but ran out of both ribbon and Sahara Sand cardstock, so I had to come up with another design (which I'll show you tomorrow). 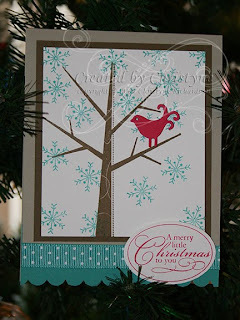 For this card, I stamped the tree in Soft Suede after stamping off first and I did the same with the snowflakes, stamping them in Bermuda Bay. The bird was cut from Melon Mambo using the sizzlit die from the Holiday Mini Catalog. I matted the image on Soft Suede and then on the Sahara Sand card base. For the card base, I trimmed off a little bit of the front of the card and added a piece of Bermuda Bay cardstock which I first punched using my Scallop Edge Punch. I added the ribbon over the seam and stamped the sentiment in Melon Mambo on Whisper White and then punched it out with my Wide Oval Punch and adhered it to the front of the card using Stampin' Dimensionals. where did you find the time?! Beautiful card! Warm Wishes for your holiday! So glad your daughter is doing well! Hugs!!!! Beautiful card Christyne! Love the tree! Lovely card! Hope you have a wonderful holiday and glad your dd is doing ok! Well...all his workmates must surely be totally impressed! Great card young lady!